Note: Those applying for CEU’s must sign in and out of each session for which credits are available. Describe historical conceptualizations of problem behaviour and their inherent limitations on treatment. 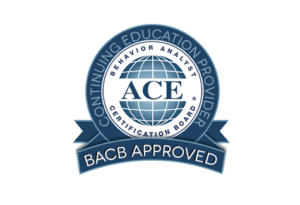 Learn to conceptualize and describe problem behaviors by maintaining function(s). Describe the value of a functional approach to problem behaviors. Increase awareness of the idea that the primary dependent variable for our work is improved quality of life for people with disabilities and their families. Re-define the concept of intensity to emphasize meaningful engagement and opportunities to respond rather than time allocated for tasks. Increase appreciation for the importance of embedding explicit instructional strategies and behavior support plans into valued routines, rituals, and activities across the school and community environments. Increase understanding of the types and range of instructional strategies that have been proven to be effective with students with disabilities. Describe three essential elements in the development of cross-cultural competence in the role of behavior analyst with families of diverse cultural and linguistic backgrounds? Define the six core components of family centered, culturally responsive PBS? Identify three implications for behavior consultation practice based on the six themes that emerged from the qualitative analysis of the behavior consultant’s effort to deliver culturally-responsive behavior support services to the family. Identify strategies to develop rapport informed by the family’s culture. Identify strategies to incorporate cultural beliefs and parenting practices into development of PBS. Identify strategies to incorporate key stakeholder’s cultural beliefs when training for implementation.